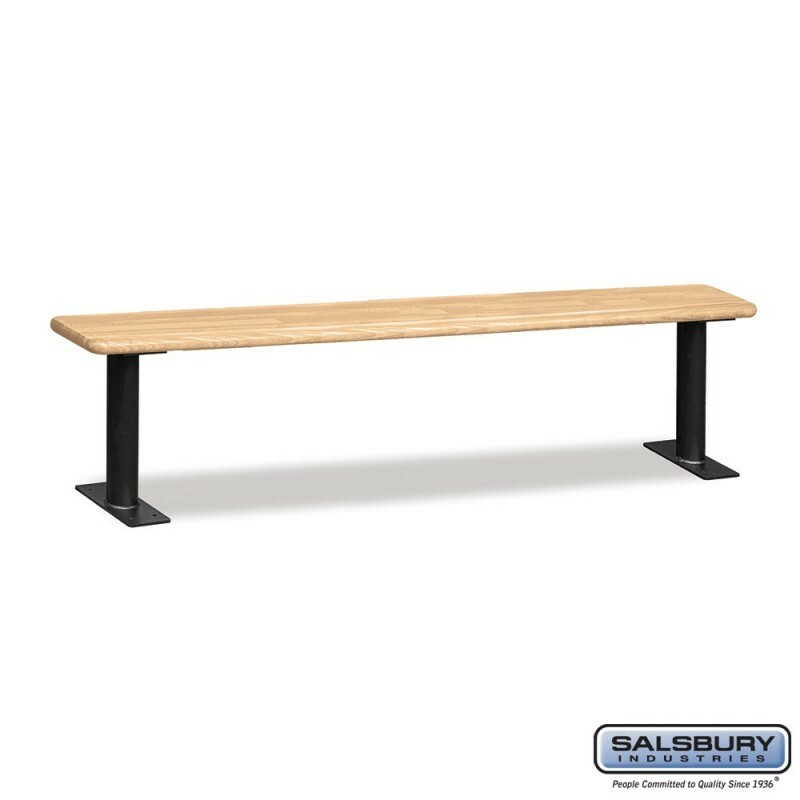 Constructed of 1-1/4'' thick solid butcher block wood, Salsbury wood locker benches combine a classic look with strength and durability and are an excellent addition to industrial, office or recreational locker room facilities. 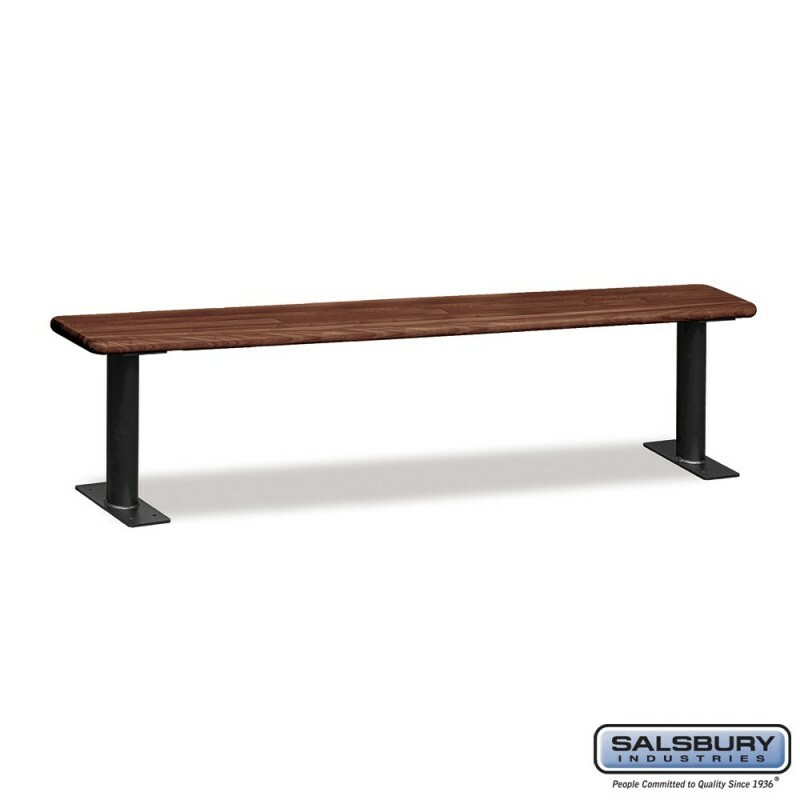 Wood locker benches are available in six (6) lengths ranging from 36'' to 96'' in one foot increments and are easily assembled. The wood seating area is available in a light finish or a dark finish. Each bench is 18'' H x 9-1/2'' D and includes two (2) 3'' diameter bolt mounted aluminum pedestals with four (4) mounting holes to secure to the ground. Pedestals feature a durable powder coated black finish. Minor assembly is required.